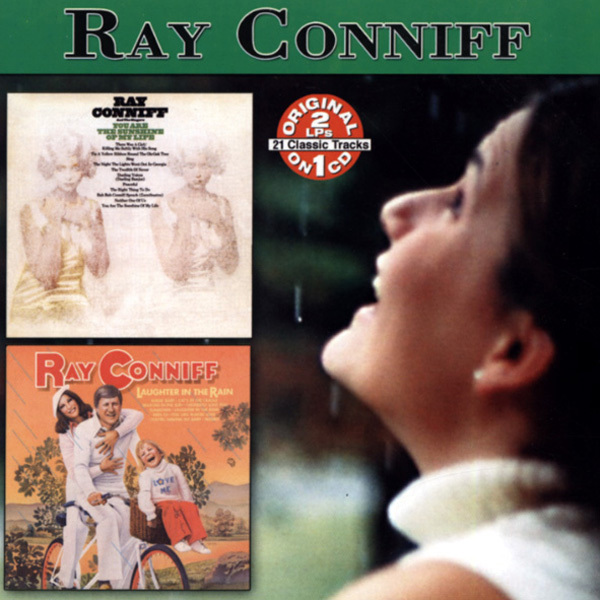 08 There Was A Girl/Killing Me Softly With His..
"Ray Conniff & His Orchestra & Chorus"
Born on November 6, 1916 in Attleboro, Massachusetts, USA. Bandleader and trombonist. Also arranger, e.g. for Don Cherry, Johnny Mathis, Guy Mitchell. Brought lots of LPs to the American charts and was suddenly back in demand as an easy-listening specialist from the mid-90s. 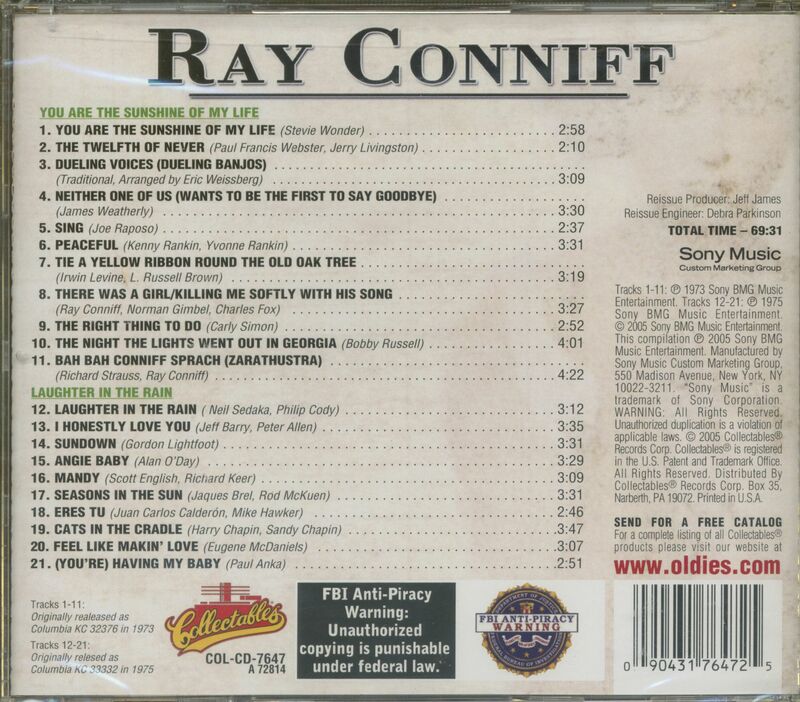 Ray Conniff played live with his orchestra in Brazil in 2002. On 12.10. 2002 he died in Escondido, California from the consequences of a fall injury. 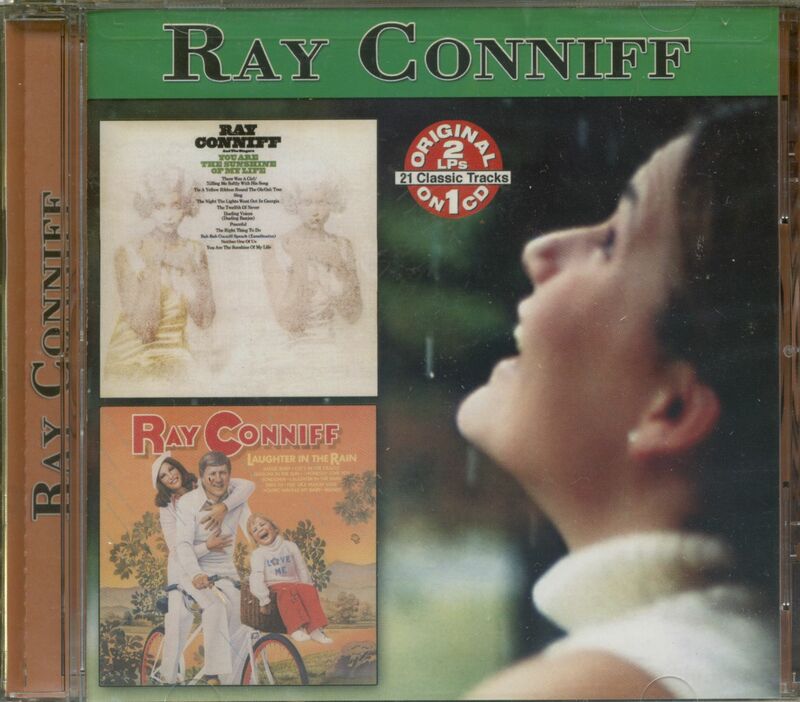 Customer evaluation for "You Are The Sunshine Of My Life & Laughter In The Rain (CD)"